Michelle studied Festival and Events Management with Marketing at Edinburgh Napier University. After graduating in 2014, she decided to pursue a career in marketing. Since then she has had the opportunity to work in different sectors, including tech, events and transport. She has honed her skills on a range of campaigns and gained experience in account management, advertising, traditional and digital marketing. 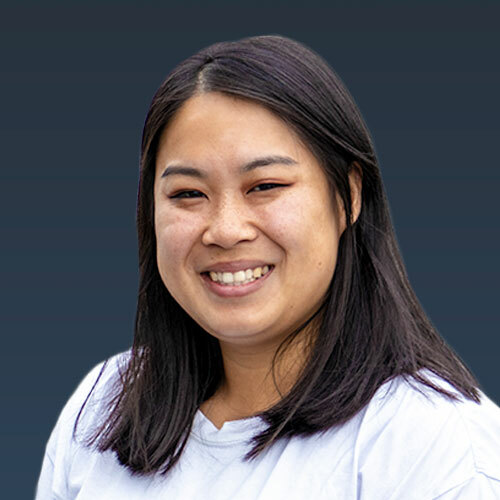 Michelle is particularly interested in digital marketing, as she believes it allows for more creativity and more impactful campaigns, using channels such as social media, websites and blogging. She also enjoys working in a fast-paced environment, in which she can anticipate and respond to clients’ needs. “Key to achieving effective marketing is understanding your customer’s business and the market they operate in,” Michelle explains. Before she moved to London, Michelle lived in Ullapool, a wee fishing village in the North West of Scotland where her parents run a Chinese takeaway. You can catch her doing a cameo shift there when she goes back home. During her free time, Michelle likes to cook for her family and friends. Her speciality is a jambalaya. Michelle is a keen traveller. Her goal is to hit 30 countries before she turns 30. So far, she has explored 15.